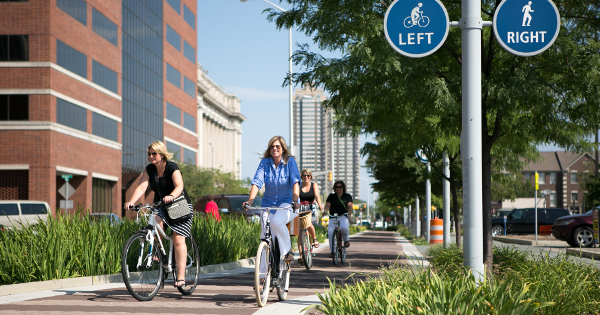 The Indianapolis Cultural Trail creates the feeling of an off-street trail in the middle of a Midwestern downtown. James Bond needs a Q. Scooby-Doo needs a Velma. Katniss Everdeen needs a Beetee. And today’s urban biking movement won’t get far without engineers, either. As the country’s civil engineers prepare for their profession’s annual pilgrimage to the Transportation Research Board conference, people of every discipline who are using protected bike lanes and other tools to make biking mainstream should take an a moment to consider the immense success and unmatched potential of a group that too many modern bike advocates cast as villains: engineers. For Linda Bailey, executive director of the National Association of City Transportation Officials, there’s no better monument to this potential than the country’s mind-bogglingly successful Interstate highway system. 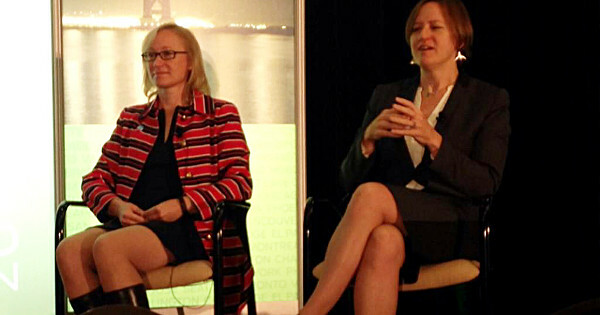 NACTO Executive Director Linda Bailey, right, with Washington Department of Transportation Director (and civil engineer) Lynn Peterson. When the concept of a freeway was handed to the engineering profession almost 100 years ago, it must have seemed like a completely crazy assignment. And though our Interstates are still improving, they were so good at the job they were given — moving vast quantities of private vehicles as fast as possible — that they came to define the entire traffic engineering profession. That’s exactly what’s happening, progressive engineers say. 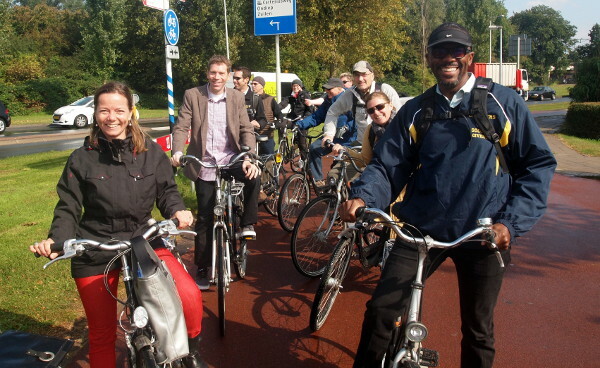 Atlanta engineer Rodney Givens, right, on a study tour of Netherlands bike infrastructure last summer. 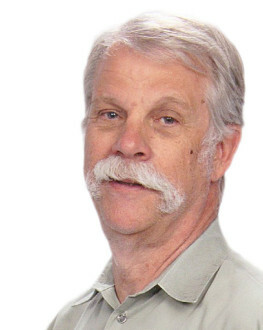 In 21 years as an engineer in Texas and Georgia, Rodney Givens has built plenty of bike lanes. Though “built” might be putting it generously. Then, last summer, Givens joined a study tour to the Netherlands to learn about the protected bike lane network that Atlanta is planning to build. It was a revelation, he said: in all these years, it had never occurred to him that he almost never saw a person actually biking in the lanes he’d been taught to include. Givens is now Atlanta’s point person on a $250 million bond issue that would include tens of millions for protected bike lanes and other infrastructure Givens never learned about in school. For Rock Miller, a California-based consulting engineer for Stantec who served as president of the Institute of Transportation Engineers in 2012, there’s never been a more exciting time to have his job. When Miller graduated from the University of California at Davis in 1976, he recalled on Friday, he would have liked to start his career building bike lanes like the ones he’d enjoyed in Davis. But cities, he learned, only wanted to hire him to build things for cars. So he spent 30 years doing exactly that, just as his professors had before him. “Five to ten years ago, all of a sudden people started asking me to start engineering things for bikes,” Miller said. Today protected bike lanes are a key part of his work. Miller said he’s living an engineer’s dream: working in a community of peers to solve unsolved problems in street design. Correction 1/13: An earlier version of this post incorrectly described the number of years in Givens’ career and the nature of the Atlanta bond issue.